It's quite common for people to feel nostalgic towards food and toys that were a part of their childhood. That is especially the case when many of those toys and food items are no longer made or difficult to acquire. For those that are looking for unusual gift ideas, giving unique retro gifts is one way to give the gift of that childhood nostalgia. Giving someone such a personal and unexpected gift is certain to please the gift recipient. 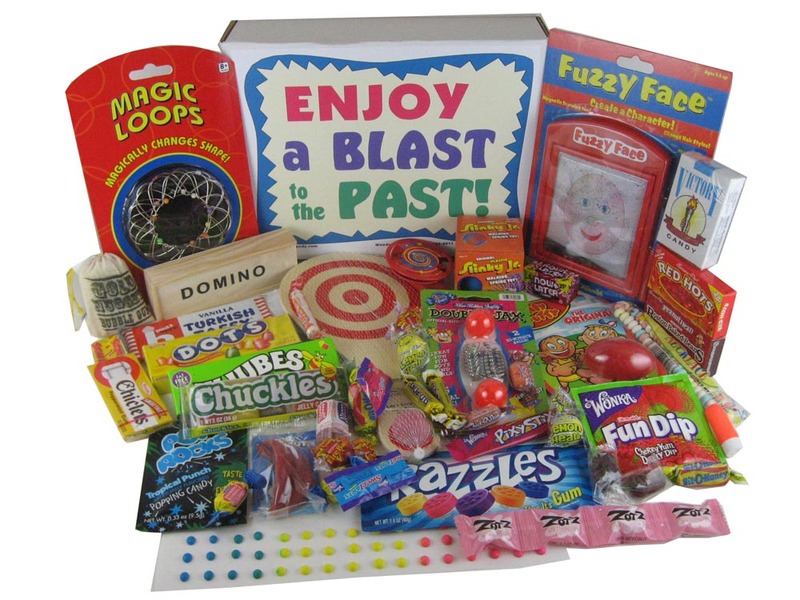 Consider purchasing a fun, retro gift box that is personalized for the year that they were born. For example, if the person was born in 1975 the basket will then be filled with candy from when they were kids. They will certainly enjoy a gift bag filled to the brim with all of their favorite candies from childhood. Choose this option for virtually every year, even if the person was born back in 1943! These unique retro gifts include hard-to-find candies such as candy cigarettes, Mary Jane's and Bit-O-Honey. In addition to candy there is the option to choose a gift box that contains also contain retro toys from the era. For example, a gift for someone born in the 1950s might enjoy candies and gifts from their childhood in the 1960s. This type of gift is also fun for them to share with their kids and explore those childhood memories together. Another idea for unique retro gifts is to give the gift of a coffee mug or a lunch box. The mugs come with patterns such as popular rock bands and characters from the past, such as The Rolling Stones and Marilyn Monroe. It's also possible to also give unusual retro gifts that are for occasions other than birthdays. Perhaps send a gift of appreciation in the form of a gift box filled with vintage candy. Another option is to give a thank you gift in the form of nostalgic candy and toys, complete with popular items such as wax lips and jujubes. For those that are giving a retro joke type of gift, consider some of the funny "over the hill" retro gift items. Those include special geezer sunglasses, as well as a gift box filled with retro toys such as silly putty and yo-yos. Searching for the perfect gift to give can be difficult, whether it's for a holiday or another occasion. Think outside the box and give a gift box filled with memories.